This three-story building serves as corporate headquarters for Tally Systems Corporation, an international software engineering and production company. 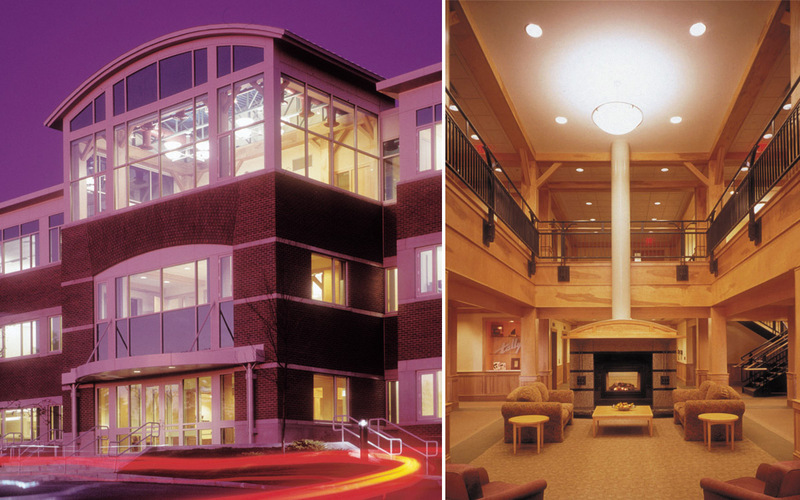 The client requested a building expressing both the company’s technological focus and their connection to New England. The exterior presentation is a fresh, contemporary palette of brick, pre-cast concrete, metal panel systems, and glass. Inside, a granite fireplace and yellow birch paneling graces the central two-story reception atrium. This area reflects Tally’s philosophy of showcasing its best resource – its people – by also functioning as a warm and informal meeting space.